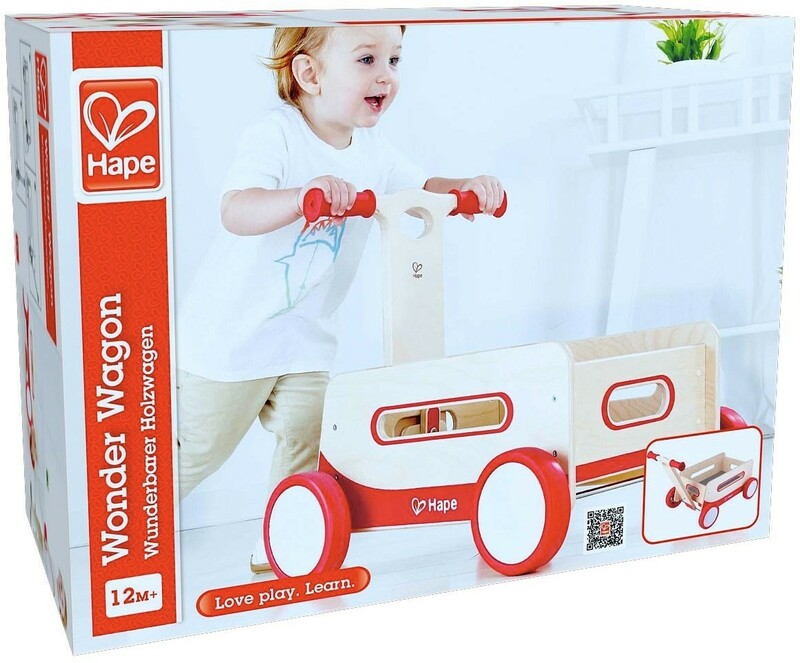 With a beautiful and classic design, the Wonder Wagon from Hape will become a favorite passed down for generations in your family. 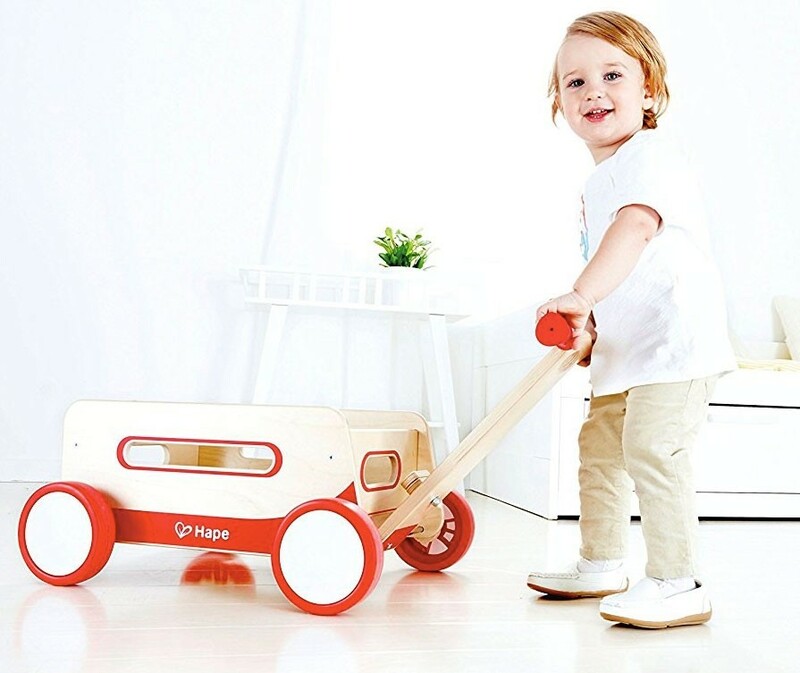 This multi-purpose wagon has a timeless red and white design, and it's designed to safely carry passengers (from stuffed animals to your little one!) 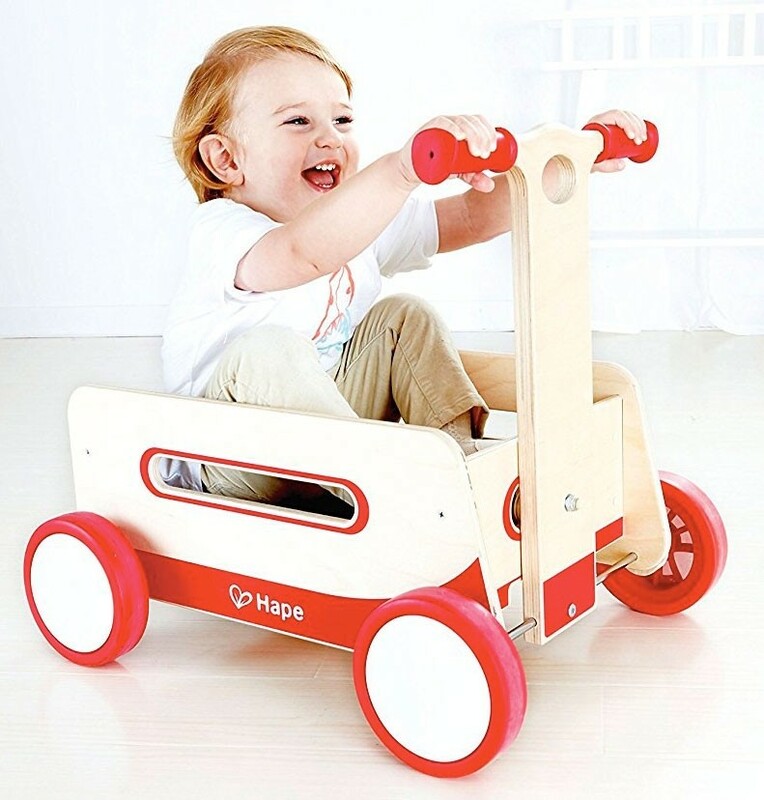 as well as haul or store toys when not in use. 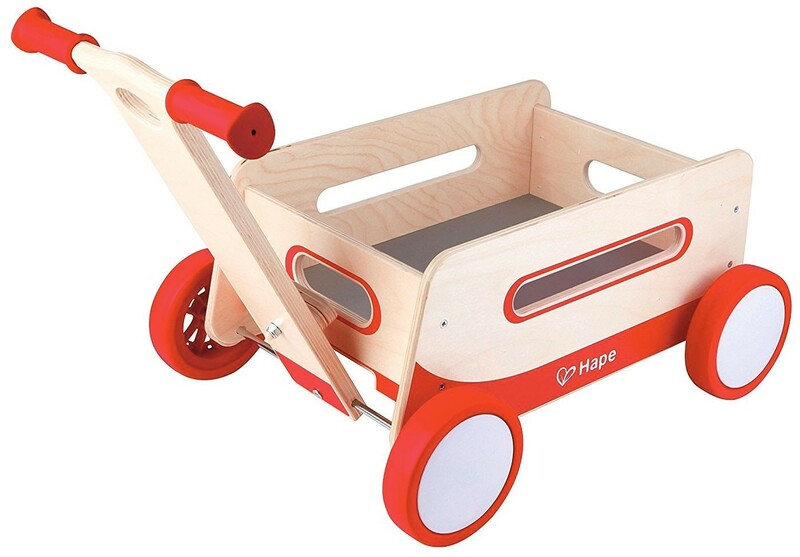 The pull handle folds up conveniently and locks into place for convenient storage. 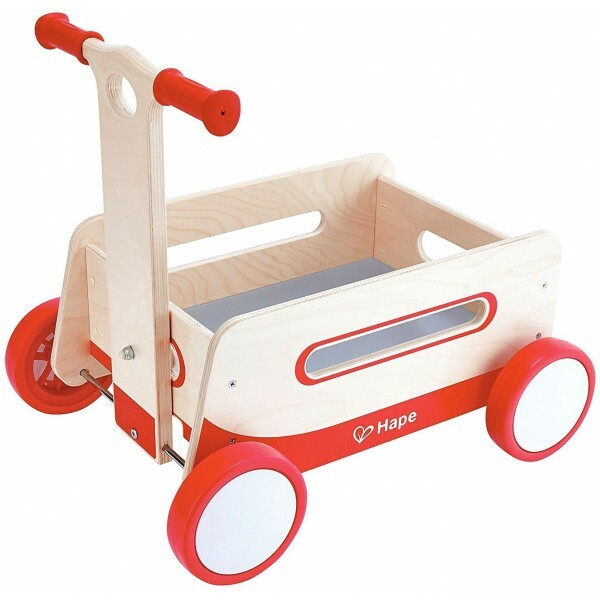 Advanced walkers can add toys to the wagon to push and pull to give more resistance and build strength. Like all Hape products, this toy is made with sustainably sourced wood and finished with non-toxic, child-safe ink.